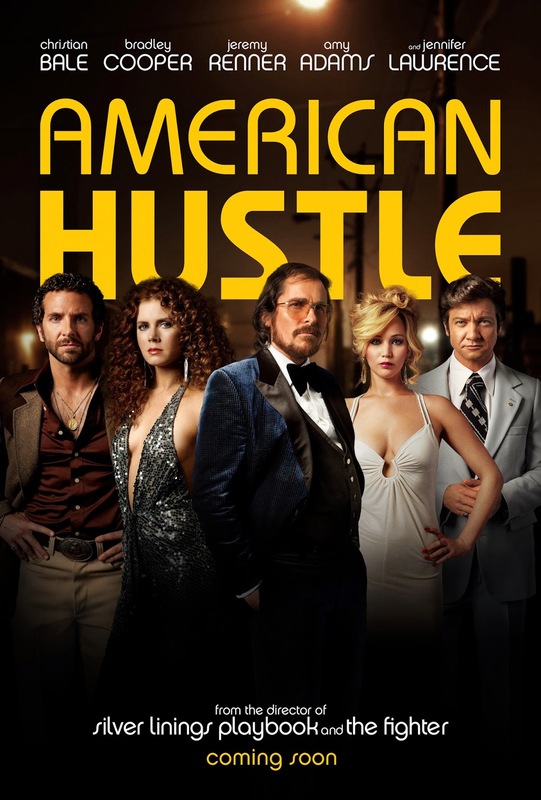 American Hustle (2013) is a film based on FBI stings in the 70s and 80s. Con artists Irving Rosenfeld and Sydney Prosser are prepared by FBI agent Richie DiMaso to make an exchange with a high ranking public official. The film shifts earlier after the meeting is botched to show how Irving and Sydney first met. Irving is a con man who falls in love with Sydney despite being married. He then runs a investment scam with Sydney pretending to be an English aristocrat. 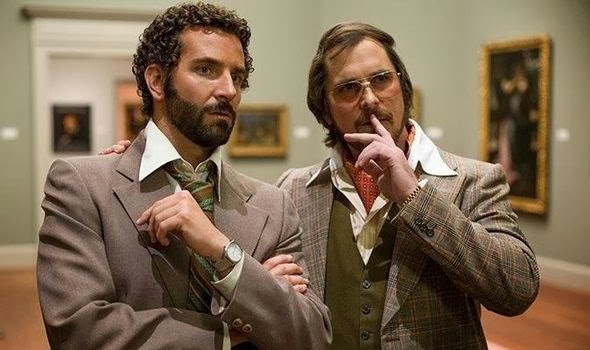 American Hustle is an entertaining heist movie whose characters are lovably dishonest. The biggest issue with this movie is the start. It thrusts the viewer into the middle of the story without any context before introducing its characters. It doesn't seem to trust the viewer to sit through the 45 minutes of character introductions. The beginning isn't exactly boring either, so it's just more jarring than need be. Irving Rosenfeld is an aging con man caught between the love of his adopted son and the love of a good woman, well relatively good. Irving is incredibly charismatic, and that serves him well in his chosen profession as a con man. Christian Bale puts in a solid performance and manages to disappear into the role despite his celebrity. Sydney Prosser aka Lady Edith Greensly is an intelligent woman swept into the conning world of Irving. She falls in love with him despite herself. Then, she juggles the advances of FBI junior agent DiMaso with the completion of Irving's plan. Amy Adams puts in a sparkling performance that extends far more than the cut of her dresses. Rosalyn Rosenfeld is a stunning gold digger who's latched herself onto Irving and doesn't want to let him go. She has a propensity for starting fires and may be the best at conning in the entire film. As such, she is one of the most interesting. Her vapid willingness to leverage Irving's love for her son to maintain her lifestyle is impossible to turn away from. Not only is she fascinating, but she's also hilarious. Jennifer Lawrence is glorious in the role and probably deserves the Best Supporting Actress Oscar but given her recent win, I don't see it happening. Agent Richie DiMasso is a young agent looking to make his name. He bites off more than he can chew when he assumes power over not only Irving but his boss. DiMasso is a little prick and his comeuppanceis too long coming. Bradley Cooper puts in a good performance, but I think it once again he comes up a little short. This period piece doesn't skimp on the period. The late seventies and early eighties come alive. This is a film that trades on its large cast and the intrigues of the con come second to the characters. Much to the film's credit the character payoff is brilliant and leaves one with a lot to think about. A large cast of colorful characters comes together in a hilarious con film. American Hustle may not be quite as good as The Silver Linings Playbook, but David O. Russell adds another solid entry to his filmography. Unfortunately, I don't think this will win too many (if any) Academy Awards. If you enjoy con films or 70s-80s period flicks, check this one out! Next Time: Nominee Number five is our controversial entry.